This is a post as part of our #MySMCStory campaign to capture personal and professional benefits received from participating in Social Media Club events across the globe. Learn how others members are benefiting from Social Media Club activities by following #mysmcstory hashtag on Twitter or following our Clubhouse blog for members stories like Jessica’s over the coming weeks. 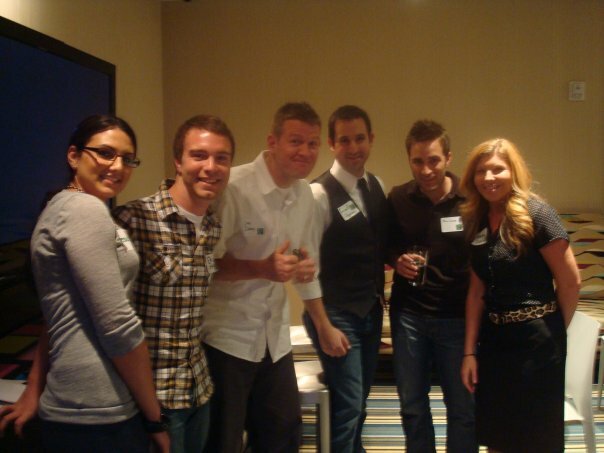 My Social Media Club story starts back in 2009, when I met Georgia Cross at my first Nashville Geek Breakfast event. She and I discussed the various social media groups that existed in Nashville and found that out of the ones that hosted regular events, they all focused on networking and happy hours, and nothing to do with education. I talked to her about Social Media Club, which all my friends in NYC and Birmingham were attending and getting a lot out of. Shortly after, we decided to proceed with the launch of a new chapter, and I attended the first national SMC event, Social Media Club Workshop hosted in Birmingham, AL in April 2009. For the record, I didn’t come from a professional marketing background. In fact, I was a political science and economics student so the word “content” and “ROI” weren’t part of my vernacular. But what I did have was a hunger. A hunger to learn more about social media tools, technology, startups and meet like-minded people in the Nashville community. I was probably the least experienced person in the room when attending the Social Media Club Workshop but I took notes (on paper, this was pre iPad days folks) listening to Mack Collier and Chris Heuer talk about content strategy and community engagement. Being in a room with such passionate people was contagious and upon returning to Nashville I was even more fired up to launch the chapter. 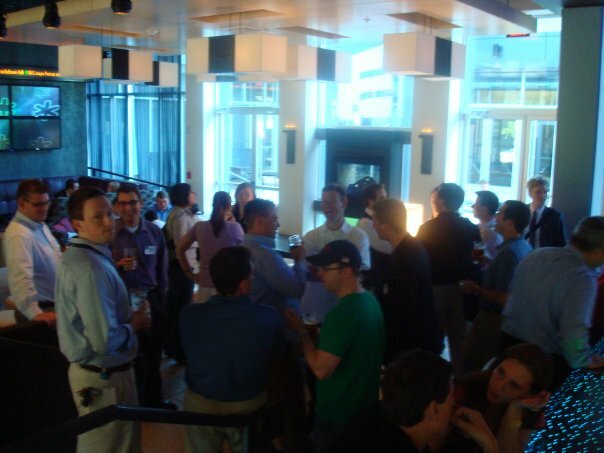 Our first event was hosted May 19, 2009 at The Aloft Hotel in Cool Springs, a suburb of Nashville. In mid-2009, social media tools were still feared by most companies so finding the few progressive brands in Nashville was a challenge. Our launch event was a full house and featured speakers Dave Delaney of Griffin Technology, Ben Lehman of Healthways, Jared Degnan of Mars Petcare and Eric Shuff of The Tennessean. Between 2009-2010, I saw SMC Founders Chris Heuer and Kristie Wells at interactive events like SxSW & TechWeek NYC and each time, I felt more inspired to return to Nashville and find ways to strengthen our chapter. Every month we grew in attendance between word of mouth and outreach to other professional organizations like AAF, AMA, PRSA, PodCamp and BarCamp. 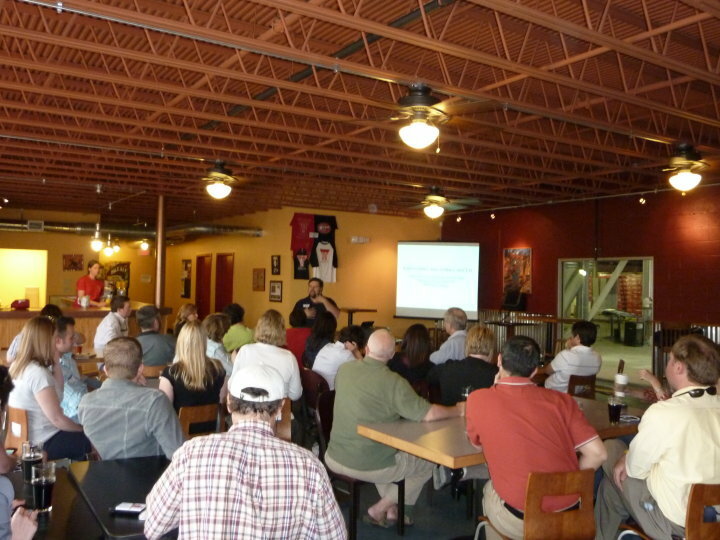 Before I left Nashville in 2010, we had featured national speakers like Chris Brogan and David Bullock, but put much of our focus on the existing local business community. Nashville is such a generous and supportive city filled with creative types and an expanding startup and entrepreneur scene so it was easy to find speakers once word was out about the growing Nashville chapter. By this time, I loved SMC and wanted more. In May of 2010, I reached out to Kristie Wells to ask if she could keep an eye out for any interactive positions, as I was looking for opportunities outside Nashville. She quickly responded that SMC was looking for someone part-time to help with their first-ever community census, blogging and other administrative tasks. I think she called it “unsexy work,” but I jumped at the opportunity to work closely with people I had come to admire. 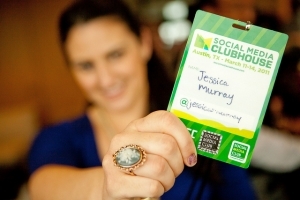 My part-time position with Social Media Club continued for the next 6 months and my title developed into ‘Community Manager.’ As my role grew, I was able to attend events like BlogWorld and SxSW on behalf of Social Media Club, with every event providing an opportunity to interact with members and chapter leaders to learn how SMC could improve or help their community further. I will be celebrating two years with Social Media Club this June, and since I began we’ve grown from 100,000+ members across 230 chapters to more than 300,000+ across 328 chapters in 52 countries. We’ve launched a monthly book club which features social media industry titles and host monthly webinars accessible to all SMC members worldwide. In December 2010, our editorial team began with 19 contributors and has grown to over 30, made up of Professional members and chapters leaders spanning three continents and providing original content daily. Our primary focus over the last two years has been to develop better infrastructure to support our chapter leaders, who dedicate so many volunteer hours to make your local SMC chapter run like a well-oiled machine. Just as all experiences in life help shape your character, my work experience with Social Media Club and the personal friendships I have made through SMC have been nothing short of life-changing. Before SMC, I was unsure of what I wanted to do when I “grew up,” but now I’ve never been more motivated and confident about my future. If ever I believed that everybody has a ‘thing,’ or something they’re born to do, I know being a Community Manager is mine. I learn new things everyday, as I expect everyone in this industry does and I’m thankful to be able to serve the SMC community. I’m constantly humbled by the people I meet, knowledge shared and excitement others have for Social Media Club, and it’s just beginning for some in regions like S.E. Asia and the Middle East. The Social Media Club community I have come to love is connected, diverse, passionate and generous. My wish is for others to see the spirit of this community and help us meet our fundraising goal to continue #mysmcstory and the story of other members across the globe. To support our not-for-profit by making a donation to protect and sustain the organization visit here.